Jamie Green, drive of a Mercedes AMG C-Coupé, finished the seventh race of the DTM Season at Zandvoort in fourth place and improved his position to second place championship standings The Zandvoort race was won by Edoardo Mortara fromAudi. Overall championship leader Gary Paffett, driver of a THOMAS SABO Mercedes AMG C-Coupé, finished the race in seventh place after a tough race. He was in grid position eight for the start of the race and had reached fourth place when, at the start of lap 27, Martin Tomczyk (BMW) caused him to spin and drop back down to eleventh place. During the remaining 16 laps, championship leader Paffett again moved up the field four positions to finish seventh. 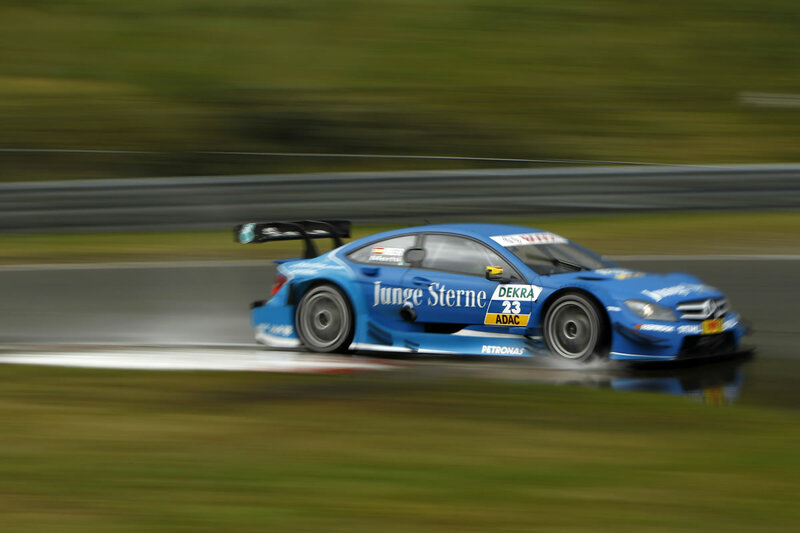 Paffett heads the DTM drivers’ championship, having secured 109 points, and has a 16-point lead on team-mate Green in second position with 93 points. 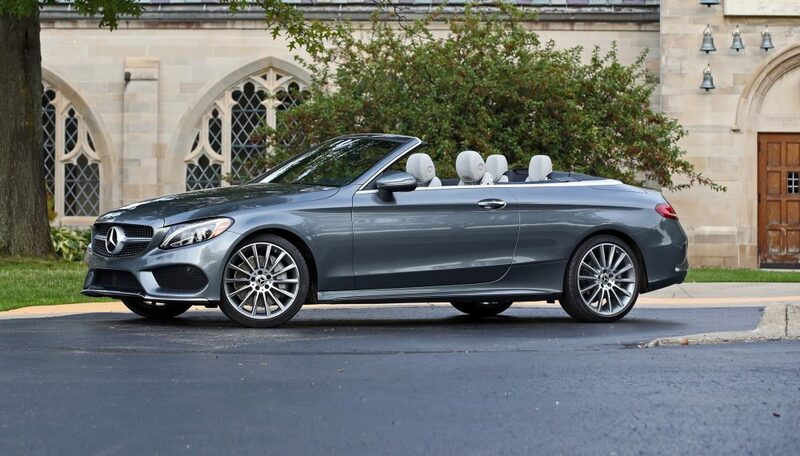 THOMAS SABO / Mercedes-Benz Bank AMG lead the team standings with 133 points. Mercedes AMG are second on 101 points. Mercedes-Benz on 256 points holds the top spot in the Manufacturers’ Championship. Ralf Schumacher (Mercedes AMG C-Coupé) finished the seventh race at Zandvoort in tenth position. Roberto Mehri (Junge Sterne Mercedes AMG C-Coupé) and Susie Wolff (TV Spielfilm Mercedes AMG C-Coupé) came home in P11 and 12 respectively. David Coulthard (DHL Paket Mercedes AMG C-Coupé), Christian Vietoris (Mercedes-Benz Bank AMG C-Coupé) and Robert Wickens (stern Mercedes AMG C-Coupé) did not finish. Paffett posted a 1:34.054, the fastest time of the 43 laps. 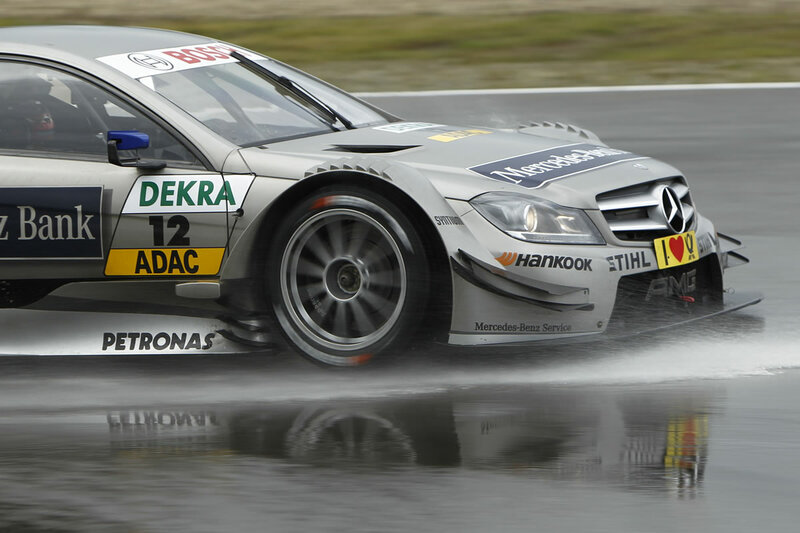 For the championship leader, this was the eighth fastest race lap in his DTM career and his second at Zandvoort. Since 1988, Mercedes-Benz drivers have secured a total of 166 fastest race laps, including six at Zandvoort and four this season. The race at Zandvoort was the 350th DTM race for Mercedes-Benz. Since the first works entry in 1988, Mercedes-Benz drivers have achieved 168 victories, 111 pole positions and 166 fastest laps. With ten drivers’, thirteen team titles and nine manufacturers’ titles, Mercedes-Benz is the most successful manufacturer in DTM history. A total of 37,000 spectators attended the DTM race weekend (Fri, Sat, Sun) at Zandvoort, an increase of 27.5% on the previous year (2011: 29,000). The start: Gary Paffett moves up the field at the start from P8 to P5, Jamie Green sixth. The safety car is out after an accident on the first lap. Robert Wickens und Christian Vietoris retire after colliding. David Coulthard goes up from 22nd to P13. Lap 4: The safety car turns off into the pits. Green overtakes Paffett on the re-start in a scrap for fifth place. Lap 5: Green overtakes Filipe Albuquerque (Audi). Lap 6: Timo Scheider (Audi) loses his bonnet on the start/finish straight. The safety car is back out on the track and leads the field into the pit lane to allow the track to be cleaned. Lap 10 : After the second re-start: Green in fourth place, Paffett sixth. Lap 11: The pit stop window is open. Paffett is the first C-Coupé driver to come in for a change of tyres. Lap 12: First pit stop for Green. Lap 13: Ralf Schumacher completes his first mandatory pit stop. Lap 14: Paffett overtakes Mattias Ekström (Audi) in the battle for sixth place. Lap 17: First pit stop for Coulthard. Lap 20: After the first round of pit stops: Paffett in third place, Green seventh. Schumacher pits from tenth place to change tyres. Lap 22: Second mandatory pit stop for Green. Lap 23: Paffett in the lead comes in for second time. Coulthard retires in the pits. Lap 26: Roberto Merhi completes second pit stop. It’s begun to drizzle with rain. Lap 27: Paffett is put into a spin on turn one and drops down to P11. Lap 28: Green overtakes Bruno Spengler (BMW) to move into fifth place. Lap 29: Green overtakes Adrien Tambay (Audi) and moves into fourth place. Lap 38: Paffett overtakes Dirk Werner (BMW) in the battle for ninth place. Lap 39: Championship leader Paffett overtakes Augusto Farfus (BMW), moving into eighth place behind Schumacher. Lap 40: Paffett moves up one position and is seventh. Final lap (lap 43) : Jamie Green is fourth after 43 laps and a total distance of 185.201km. 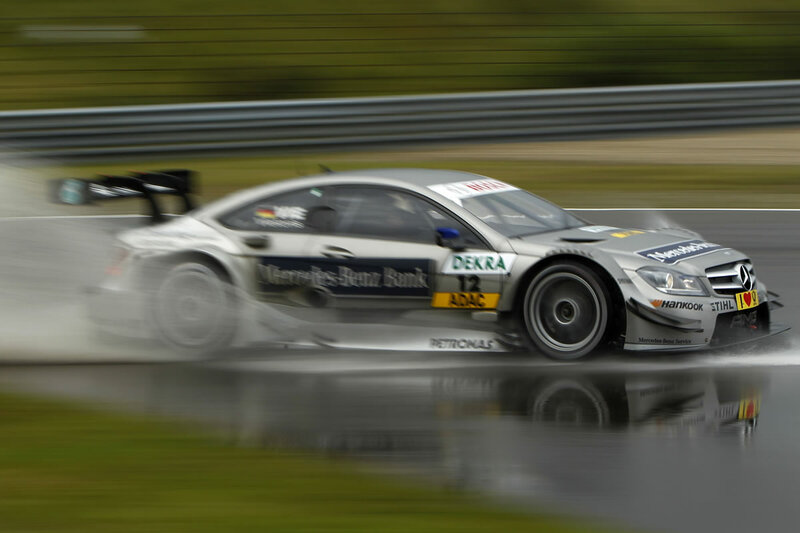 Gary Paffett finishes the 350th DTM race for Mercedes-Benz in seventh place. “Gary was on course for a podium and faster than the drivers in front of him when he was pushed into a spin, which should never happen, of course, but it cost him points to the tune of double figures compared to his rivals. His subsequent charge showed Gary’s class and his speed. He secured the best possible result under the worst of circumstances. The same applies to Jamie. He had the speed to do more than fourth place but lost time in the pits. After seven of ten races, Gary and Jamie are ranked first and second in the championship table, which is a good basis for the final three races of the season.